The evening offers a rare opportunity to hang out and enjoy cocktails at listen to the live music of Buddy Greco Jr. Trio with Matt Dusk crooning at Sinatra’s former home, a modernism landmark by noted architect E. Stewart Williams. 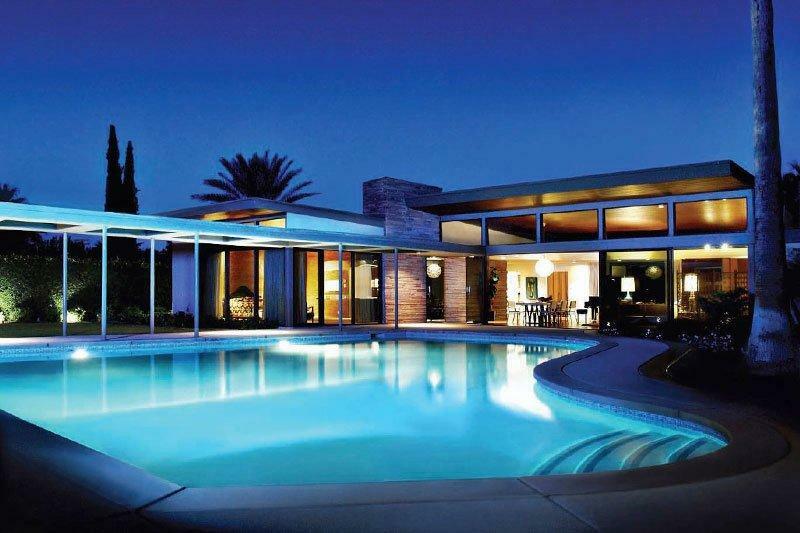 Sinatra’s Twin Palms estate was William’s first custom home commission. Apparently one afternoon in May, 1947, Sinatra sauntered into Williams’ architectural firm slurping an ice cream. His movie career at a zenith, Sinatra wanted Williams to design and build a big Georgian style home by Christmas. Williams presented Sinatra with two sets of drawings, one for the Georgian-style home and another for a long, low four-bedroom house in which every room has a view of a large swimming pool shaped like a piano. Fortunately, Sinatra chose the innovative modernist house, which put Williams’ design firm on the map. At the Swingin’ Affair’s Grand Gala, guests will enjoy a three course gourmet dinner while reliving the era as Frank Sinatra Jr. pays tribute to his famous father in songs and anecdotes. Lainie Kazan, Dusk and Baker share the spotlight with Sinatra. After the gala, the party keeps on going into the wee hours with music and cocktails in the Riviera’s Starlite Lounge. 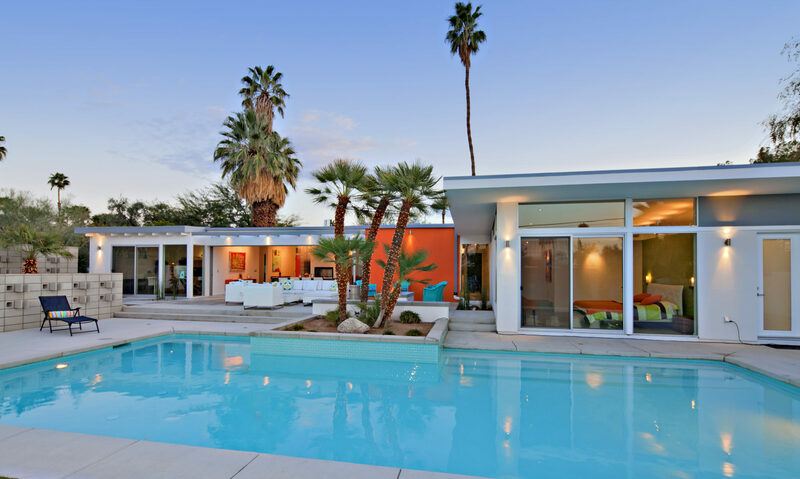 The revival of modernism has generated great interest in both custom and tract Mid Century Modern homes in the Palm Springs area. In fact, these homes continue to increase even as housing values decline in other markets. Next PostNext For The Record – John Hughes Holiday Road Live at Ace Hotel, December 16 at 8 p.m.